So I recently thought of something. 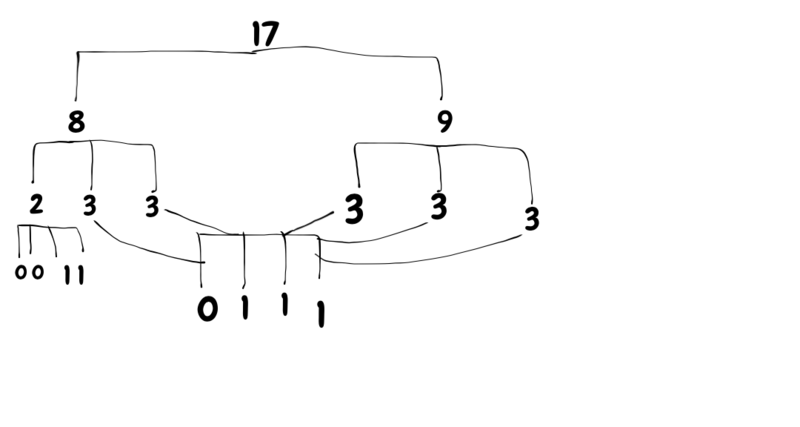 What if you take an integer (like 17 in this case), and find the set of numbers that add together in the closest form, of length 2, but increasing each level. So you would divide 17 into 8 and 9. But then those two numbers would be divided 3 times, producing 2, 3, 3 and 3, 3, 3 respectively. You go any number of levels until the resulting numbers are 0 or 1. Then you count the number of levels. This creates a sort of magnitude of the number. In this case, that magnitude is 3, because it required 3 levels to reach 1's and 0's. Now the question is, is there any mathematical way of doing this? Any formula that could produce the magnitude of an integer? Consider the largest number represented by a given magnitude $N$. For this number, the bottom layer would consist entirely of groups of $N+1$ $1$s. The number of groups in this bottom layer is just $N!$ (since the $n$th layer has $n$ times more factors than the $(n-1)$th layer) and the sum of the numbers in the bottom layer is equal to the original number. Increasing this number by $1$ guarantees that we are forced to have at least one $2$ in the $(N+1)$th layer and so the magnitude must increase by $1$. You basically follow the formula $ceil(ceil(n/2)/3)...$ and see how many steps are needed. If it was a factorial written as $x!$, the magnitude would be $x-1$ with only 1s left at the end, and if $x!<n<(x+1)!$, it will take more steps after $x-1$ steps and no more than $x$ ones, so $x$ steps are necessary. I'm not sure if this is exactly what you where looking for when you asked for a formula, but I figured it couldn't hurt. You can modify the variable named "value" to test a different number; you could also create a fancier application that asks the user for input or used GUI, but I didn't have time for that. Why is every prime number (5 and higher) divisible by 3 when you square it and subtract 1? Can prove that any random numbers between 1-100 can be divided into two equal partially sum groups?